This Valentine Service Project As A Family can bring you closer and most meaningful moments and memories! Have you ever wondered how your Family could easily share a thoughtful Valentine kindness with others who might be alone? Such as those who are struggling, or who’s spouse have been deployed, or widowed, or just because it would really help them to know that someone was thinking of them? I know how busy life is and taking on one more thing could send you over the edge! However, teaching our kids to do good, to search for ways to help and serve is really the greatest skill and ability we can hope to ingrain. See, we can talk and explain, but to model and act is what they will believe. 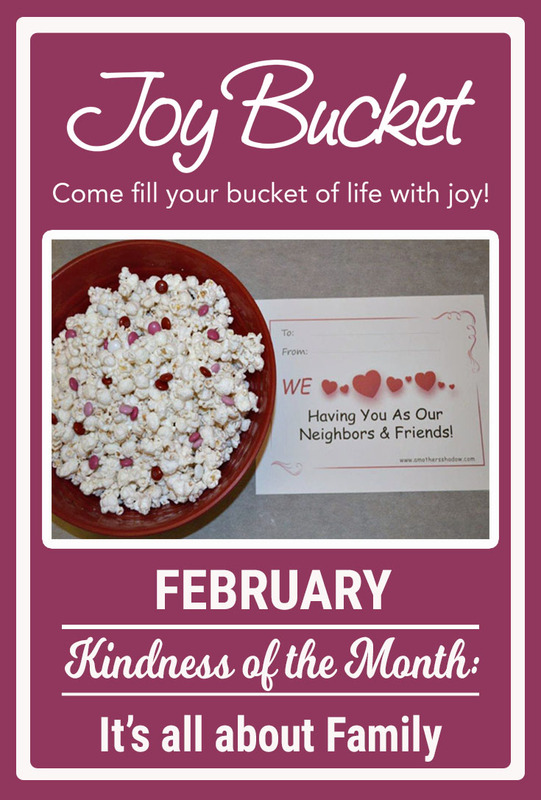 So demonstrating How Your Family Can Easily Share A Thoughtful Valentine Kindness is really important. Then we are setting an example; as the saying goes: Actions speak louder than words. 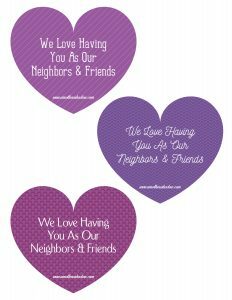 See how easily your family can share a thoughtful Valentine kindness by attaching one of the FREE TAGS on a homemade or purchase treat, then together deliver it to a couple of your neighbors. If possible take a few minutes as a family to ask how the recipient(s) are, what you can do to help them and get to know them a little better. The Printable is different than shown in the main picture, actually looks like this and is HERE for free! Enjoy this precious teaching-in-action time with your family!